Is ECB Getting Political Too? For years now the governor of the ECB has been complaining that the advantages of the bank’s monetary policy are invisible because of the fragmentation of the financial sector. “While in the previous time we had observed fragmentation and we had observed very subdued credit developments, nowadays we can safely say that fragmentation is over; that credit is growing constantly and has been growing constantly since the beginning of 2014, month after month”, said Mr Draghi in front of journalists in Frankfurt. And almost 20 days later, in front of MEPs, he added that the financial conditions for enterprises and households have improved considerably in the euro area. More specifically, the lowering of interest rates by the ECB no longer has a differentiated effect in individual member states like before. From October of 2012 to July 2016 the indicator of the cost of new loans for non-financial corporations has dropped by close to 287 base points in Portugal and 200 base points in Italy, while for the euro area in general it dropped by 117 base points. Similar drop is seen in small and medium-sized enterprises as well. The spreads between the interest rates for small and large loans in July 2016 were almost equal in vulnerable and non-vulnerable states of the euro area (135 base points for the vulnerable versus 120 base points for the non-vulnerable). This is something unseen since the spring of 2011, underlined Mr Draghi. This piece of news is worthy of popping a bottle of champagne, for it practically means that the crisis is over and the reform of economic governance as well as the deepening of integration within the common currency zone (the banking union) have proved themselves effective at the background of turbulences in international markets at the start of the year as well as the so far positive reaction of markets at the news of a Brexit. However, as The Economist said on a similar occasion, why the hell is growth so lifeless and economic perspectives are not optimistic at all? The answer of Mario Draghi is low interest rates. "While the challenges of financial fragmentation have been largely overcome, there are new ones we have to face. The low interest rate environment you selected for today’s discussion is indeed one of them. Low rates are a symptom of the underlying economic situation. 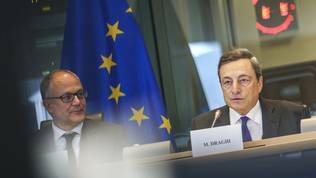 They reflect weak long-term growth trends and the protracted macroeconomic slump that has resulted from the crisis", explained the ECB boss in front of MEPs. "Low interest rates for a very long time do affect financial stability", he warned, but he reassured that for the moment he sees nothing to worry about, while caution is still necessary. Another challenge is the Brexit and more specifically the ongoing uncertainty. Up until now, the euro area economy has proved resilient, but due to the fact that neither the future relations with Great Britain are known yet, nor is the duration of the negotiations, risks are negative. The longer insecurity surrounding the Brexit continues, the more realistic will realistic the negative forecasts become, said Mario Draghi and pointed out that this is already evident in some data. He believes that the EU has to keep its word. This means, as it became clear from the conversation with him on Monday afternoon, that if European leaders said that they would not back down from the principles of the common market, it must happen. "Regardless of the type of relationship that emerges between the European Union and the United Kingdom, it is of utmost importance that the integrity of the single market is respected. Any outcome should ensure that all participants [in the single market] are subject to the same rules", said Mario Draghi. 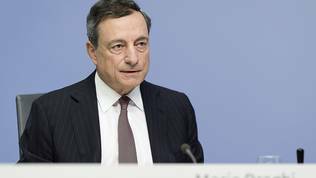 Regardless of the main subject of the debate with Mario Draghi on September 26th in the economic committee being financial fragmentation, most MEP questions rotated around criticism of low interest rate levels and the accusations that the ECB is responsible for that. 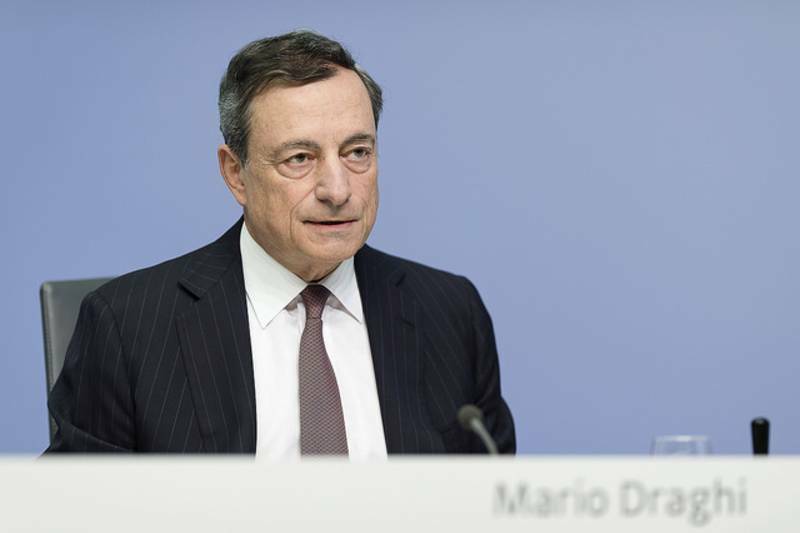 Draghi was subjected to a similar shootout by journalists as well on September 8th at the press conference after the September meeting of the Governing Council. Draghi did not change considerably his rhetoric about the need for governments to back his monetary policy with actions. In front of MEPs, however, he made a strong political statement, obviously as a reaction after the informal summit in Bratislava. In his opinion, the most important thing at the moment is fulfilling European Union citizens’ expectations. This requires actions in three directions. The first is concentrating everything on the immediate worries and needs of people. This means that today’s priorities have to be migration, security, and defence. 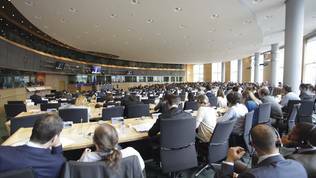 Secondly, a deepening of European integration is needed with the first step being the reinstatement of trust. In order for that to happen, rules must be followed. When asked by a MEP what does the ECB mandate have to do with migration, security, and defence – the three priorities, defined as the basis for the future of the EU in the Bratislava declaration – Mario Draghi admitted that the answer to this question is difficult. Until several years ago, he said, the answer to crises was the creation of new institutions. Today’s answer is not new institutions, but directly through people. 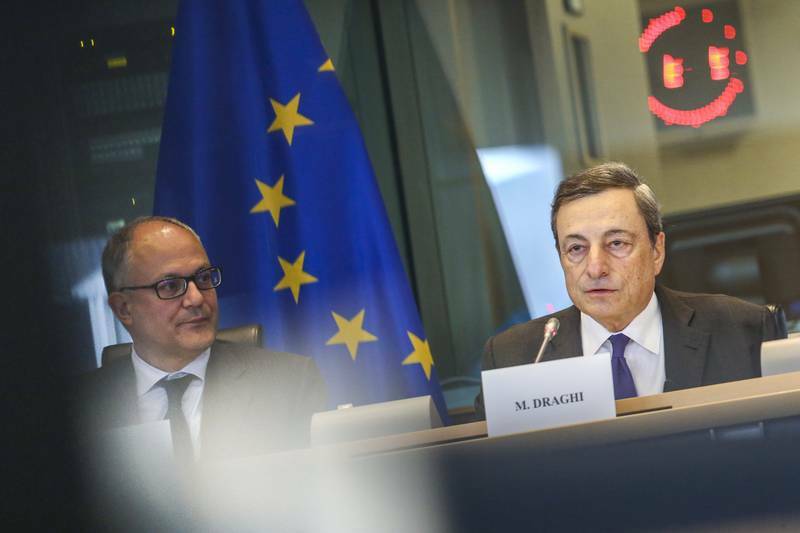 Structural reforms are the only answer in an integrated economy, said Mario Draghi and made perhaps the most significant analysis of the current situation in a long time. In his opinion, there is a connection between interest rates and the willingness to implement reforms, especially those linked directly to the budget. There is enough evidence that quite often when markets exert pressure through high interest rates, governments react with the easiest possible solution – raising taxes to finance the budget deficit. "So the outcome often is that the level of current government expenditure, which is unchanged or even growing, lower public investment and higher taxes. And that's not exactly a recipe for growth", said Draghi. He clarified that he does not speak of all countries and in a situation like this every state needs to be addressed separately. Reforms like of the judiciary system, education, even the Constitution and the election code are structural reforms that have nothing to do with interest rates. They are either done, or not done, depending on whether they are a priority. The main goal should be the increase of productivity and this is exactly what governments should be busy doing, stressed Draghi. He believes that all countries need structural reforms and must implement them, for otherwise low interest rates will persist, and this does not bode well for the economy. Another large problem are euro area banks themselves, which Draghi paid special attention to during the two-hour long dialogue in the European Parliament. The euro area is over saturated. The banks mark low profits, some of them are blocked by non-performing loans and it is time for a consolidation process to begin. In general, banks in the currency club are healthy in terms of capital, but their profitability is low. 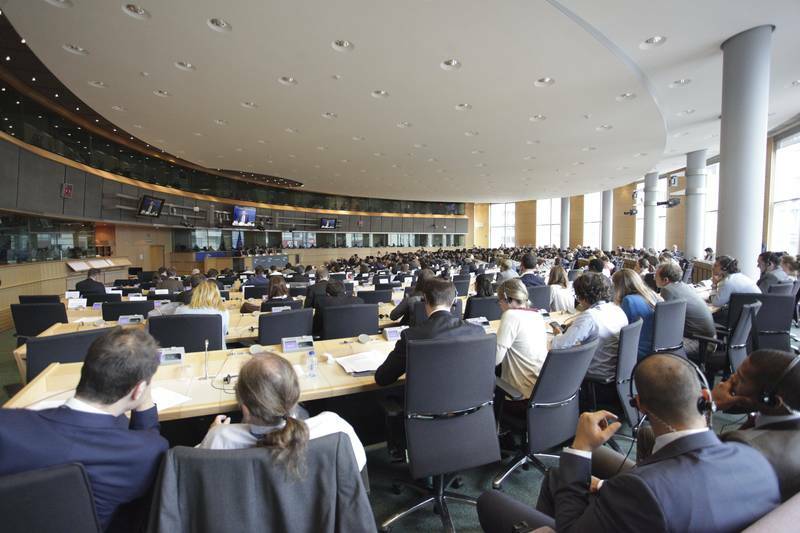 Mario Draghi’s “politicising” could be seen as an answer to the politicising of the European Commission, as it became clear during the September Eurogroup. He has been attempting to prove to member states that the ECB is not the main player in the recovering of the economy. Its monetary policy is just an addition to something, which should be done by member states together and individually. Today’s political situation, however, brings up the idea that his message will be understood as interference. In the end of the day, politicians’ goal is winning elections, not saving the European project and its greatest accomplishment – the euro.